The African carrier keeps making losses in both the passenger and cargo segments. Public subsidies granted from the state budget over the past 18 years have reached Himalayan heights. If there is no miracle, the airline’s future looks rather somber. So it’s time to take radical action, African aviation experts urge. Xavier Masule is not in an enviable position. The manager, recently appointed as Interim CEO until a permanent helmsman has been found, is facing a herculean task. He and his team need fresh cash to keep the carrier in the air, but banks refuse to grant loans to the nearly bankrupt airline. In addition to the financial squeeze, the carrier has lately come under mounting political pressure by the Windhoek government. Finance minister Calle Schlettwein urged the airline to present a turnaround strategy before knocking once more at the government’s doors begging for additional subsidies. The question of subsidies is a long-standing one. According to Namibian sources the country’s flag carrier received cash inputs of 117 million euros between 2015 and 2017. 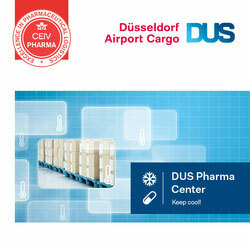 Recently, the management demanded an additional 180 million euros until 2020 in order to stay afloat. Too much for Mr Schlettwein and his government that urged the management to make a U-turn and find ways to generate profits. However, that’s easier said than done. Although first approaches towards this goal were made lately, for example by means of scrapping notoriously unprofitable routes. This includes domestic flights between Ondangwa and Walvis Bay that have been scrapped at the end of March. The same goes for the Eros-Ondangwa and Walvis Bay-Johannesburg routes that both have been cancelled following negative financial expectations. In addition to this, earlier plans to up the number of flights on some well frequented but unprofitable legs were shelved as well. The above are all steps that will reduce losses but do not suffice to get the carrier into the black. Having said this it surprises that the biggest loss maker in the airline’s network is left untouched: flights between Windhoek and Frankfurt. 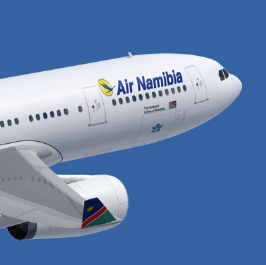 On each leg Air Namibia loses on average 30,000 euros. But from a cargo standpoint the flights are important, bringing fresh sea fish to Europe and carrying machinery parts, pharmaceuticals or household goods on the southbound leg. This adds up to nearly 30,000 tons per year on average, CargoForwarder Global was told by local Frankfurt handling agents. 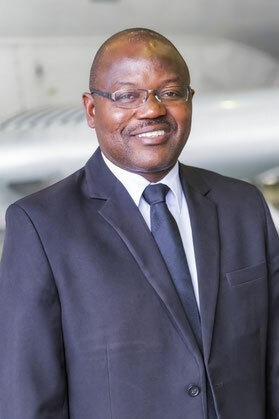 According to Interim CEO Mr Masule it’s not so much the lack of passengers or cargo consignments on this specific route that cause the losses but the leasing rates for the two A330s that tear a big hole in his carrier’s pockets. His solution: Removing one of the A330s from the Windhoek-Frankfurt route and operate it on another route where profits can be generated. Currently, a study is under way to either commence flights to China via Luanda or reintroduce London services via Harare or Accra. The other option is to return one of the two A330s to the lessor, which would sharply reduce the carrier’s intercontinental presence, however. Commenting on the many ills crippling Air Namibia, minister Schlettwein told local paper Windhoek Observer that he is not satisfied with Masule’s argument that the leasing rates are the leading cause of the losses. “You can lease aircraft or find other means to operate without necessarily acquiring planes and still be profitable,” he is cited by the newspaper. Does Namibia really need a national carrier? This leads to the basic question if a nation with 2.6 million inhabitants needs a state-run carrier, that devours tax payer’s money in the double-digit million-euro range year after year to safeguard its survival. Namibia is not an underserved country in terms of international air connectivity, evidenced by the many carriers from the Middle East, Europe and other African countries landing in Windhoek or Walvis Bay. Seen from an outside view, it would be a more rational policy if Air Namibia’s management would marry the carrier with a larger African airline. Eligible candidates might be Ethiopian, Kenya Airways or South African for instance. Provided the announced turnaround strategy is seriously meant, Air Namibia should scale back activities, concentrating on serving domestic and regional routes in the southern parts of Africa where money can be earned: This is the recommendation local aviation experts, asked by CargoForwarder Global for their views on the Namibian national carrier’s best way of surviving, have given. 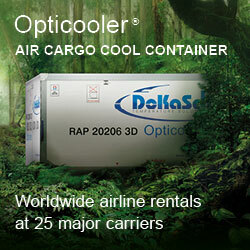 The problem would be solved to have a A330 freighter and operate as a all cargo airline . Send back the 2 passenger/ cargo A330 and cease passenger services .